We’ve all been there. Our favorite team makes a trade, or signs a player we don’t agree with, and we question that GM. What is he doing? Does he really want this team to win? (Side note: sometimes, as in the case of the 2014-2015 Philadelphia Sixers, they clearly do not). Ultimately, our argument is that if we were in charge, we would clearly do a better job of fielding a winner, and then someone would write a book about it, Brad Pitt would portray us in a horribly overrated movie and all would be right with the world. Now for the sake of time and sanity, I’m not going to try and compare across sports, as each sport has different rules in place and I don’t want anyone’s head to explode. For the purpose of this article, I’m focusing on the one sport with the most free-flowing cash and absurd player contracts: Major League Baseball. 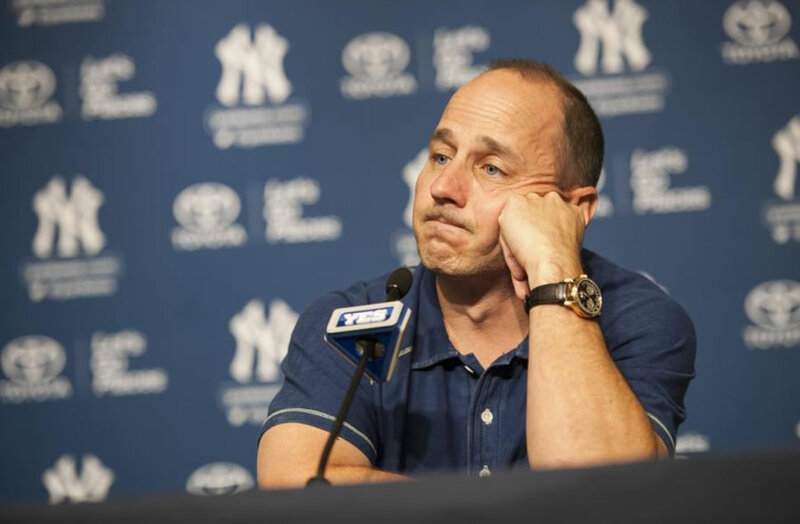 Yes, there is a salary cap in place, but the Yankees some teams clearly don’t care or mind paying the luxury tax. That said, I firmly believe that following two simple rules would automatically make me a better GM than 50% of the MLB GMs out there: Avoid high-priced, long-term contracts like the plague, and invest in the farm system. At least once a year, a great player hits free agency like a shiny new toy, and you just know that signing this player to a long-term, high-priced deal will anchor your team for years to come, right? We’re seeing it right now as Max Scherzer is apparently chasing a $200 million contract. However, a massive contract is much more likely to end up being a liability – if not right away, then at some point over its duration – especially for an aging pitcher. That’s not to say Max Scherzer isn’t a great pitcher (right now). He’s easily one of the best in the game. However, he’s also 30 years old. And to think he’ll be worth $20 million a year in five years requires more optimism than a winner of ‘The Voice’ hoping for commercial success. Is Scherzer going to end up as some overspender’s next great regret? Similarly, Albert Pujols was 31 when he signed his mammoth $240 million contract with the Angels. Now he’s 34, and though you could argue he was productive in 2014 (.272, 28 HR, 105 RBI), he was and is a shell of his former self. Factor in Father Time, and it’s hard to imagine that he’ll be able to produce enough in the seven years remaining on his contract to make it worth the money, or even make it possible for the Angels to unload him on anyone else. Ask any Angels fan how they feel about having Pujols locked on the payroll for seven more years, and you’ll get a reaction similar to that of a Vegan in a slaughterhouse. They’re not sure how they got to this point, but they’re damn sure not happy about it. And what about the team Pujols abandoned to move to Anaheim? Well you can’t say the Cardinals have missed him too much – they’ve been to the playoffs each year since he left, going at least to the NLCS each time. And the team that beat them in the 2013 World Series, those pesky Red Sox, arguably only got there because they unloaded their bloated contracts mid-season (see: Crawford, Carl and Beckett, Josh in particular) to the Dodgers, and invested in key role players. If you look at a list of the biggest contracts in baseball, you can easily shake your head at a lot of them. As a Yankees fan, the thought of A-Rod, Teixiera and Sabathia wasting more payroll than that of the entire Oakland A’s organization in 2015 makes my stomach churn, almost like watching the most recent ‘Transformers’ film again. However, the Yankees are far from the only offenders on this list. I would argue that the jury is still out on at least a handful of the guys contracted through the early 2020’s. At the end of the day, the players don’t need to worry too much. Even if their skills end up declining and their fan bases turn on them, they can always cry themselves to sleep on their giant piles of money. It’s knowing enough to not make that bed for them that makes a good GM.